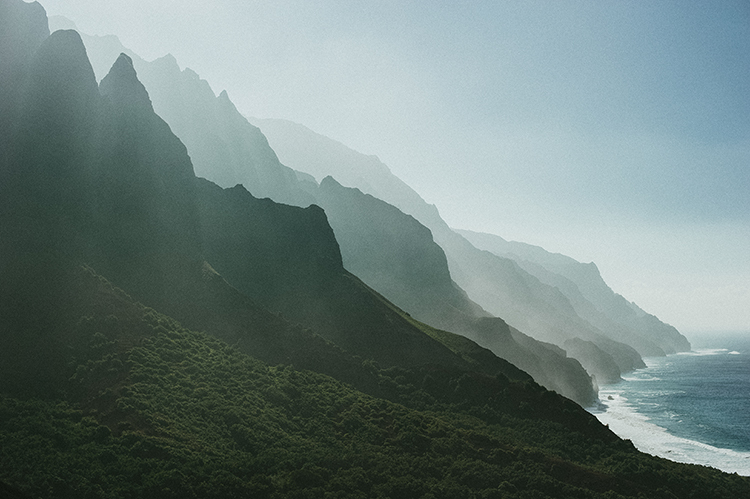 The island of Kauai has a lot to offer. It is home to the wettest recorded place on earth — conversely, it’s also the fourth-driest recorded place on earth. It’s also where the majority of American coffee is produced. 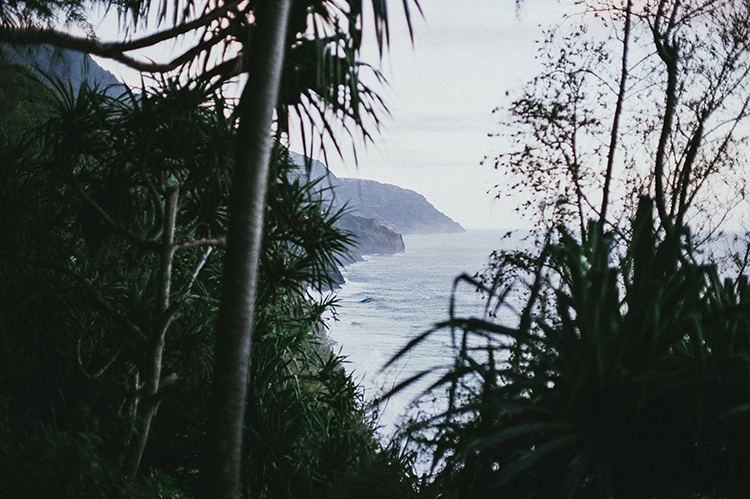 Up on the northwest part of the island lies the Kalalau Trail, a haven for outdoor enthusiasts, despite being rated one of the most dangerous hikes in the world. The trail winds up and down, along the exposed seaside cliffs and under the cover of the forest canopy within the fertile valleys. At the end of the trail, hikers are greeted with a breathtaking reward: intense ocean waves, towering cathedral cliffs, wild mountain goats, waterfalls, and sea caves. 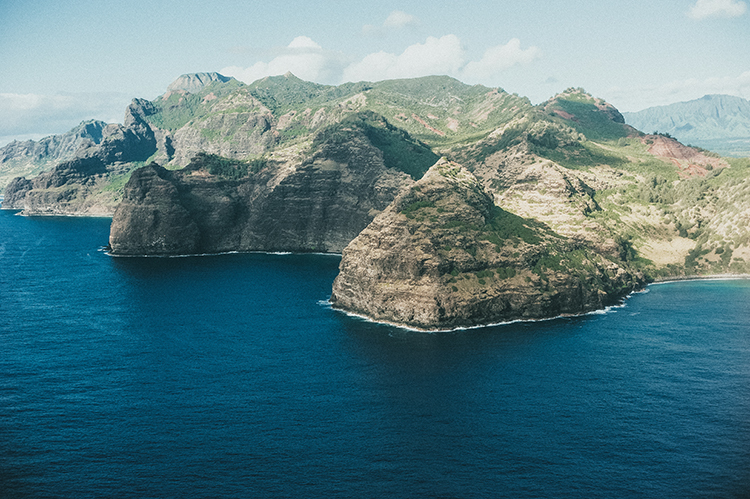 The Kalalau Trail provides the only land access to the Nā Pali Coast State Park, a rugged coastline with towering peaks and and lush landscape, made famous by films like Jurassic Park and Indiana Jones: Raiders of the Lost Ark. 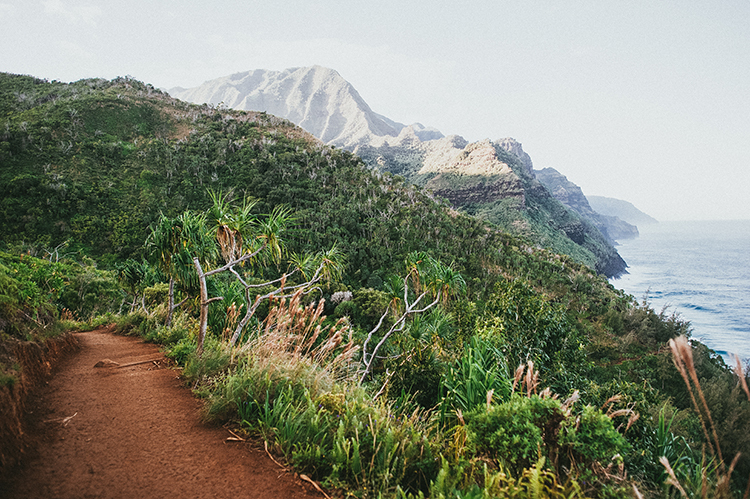 The 11-mile trail traverses sea cliffs and five lush valleys, passing the wettest recorded place on earth before ending at Kalalau Beach. 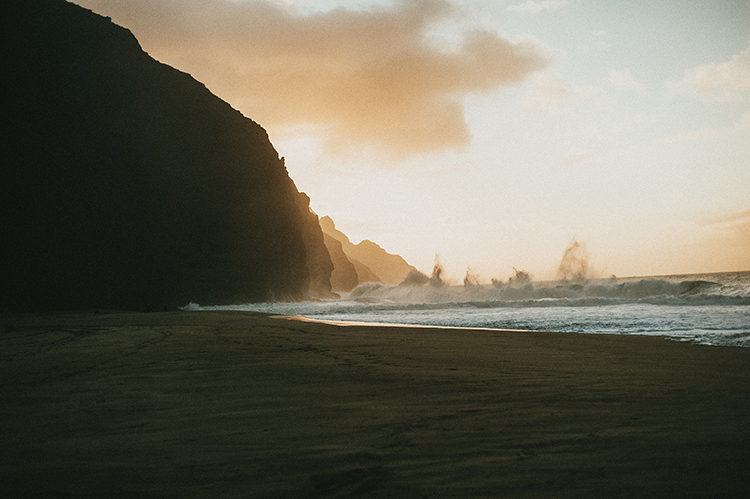 Camping is only allowed at Hanakoa or Kalalau Beach and permits are required if you plan on camping or hiking past Hanakoa. 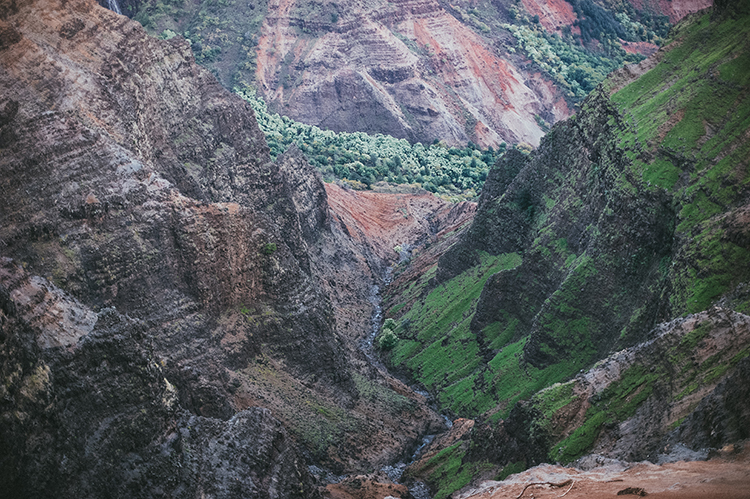 But while the Kalalau Trail is one of the most beautiful hikes on the planet, it is also one of the most dangerous; meaning it’s not a trail that just anyone should hike. The trail is physically straining and is not recommend for those who aren’t willing to obey rules and warnings. Each year there are dozens of reported accidents and injuries but many more reputedly go unreported. That being said? It’s all worth it. 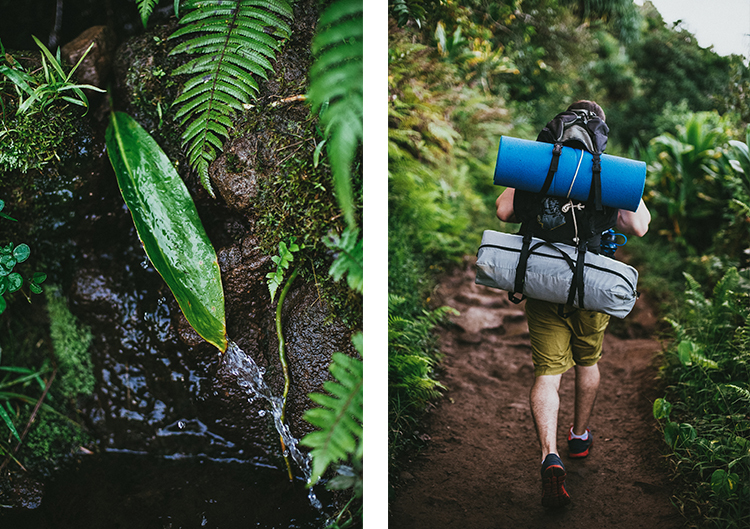 Having little experience with long-distance hiking, I was feeling uneasy as my alarm went off at 5:30 in the morning on the day we set off to hike the Kalalau Trail. Matt and I quietly prepared our bags, filled our water bottles, and grabbed a banana for the 45 minute drive to the trailhead. It was still dark. We aimed to get a good head start so that we were in the shade of the mountains for the majority of the eleven miles we’d hike. Without divulging every moment on the trail itself, I am confident to surmise that hiking it was the most physically and mentally demanding thing I have ever done, but the views were extraordinary and entirely worth it. The trail itself chewed me up and spit me back out. UItimately tired, battered, and sore, but after soldiering on, we won the right to soak in the most breathtakingly beautiful place we have ever seen. 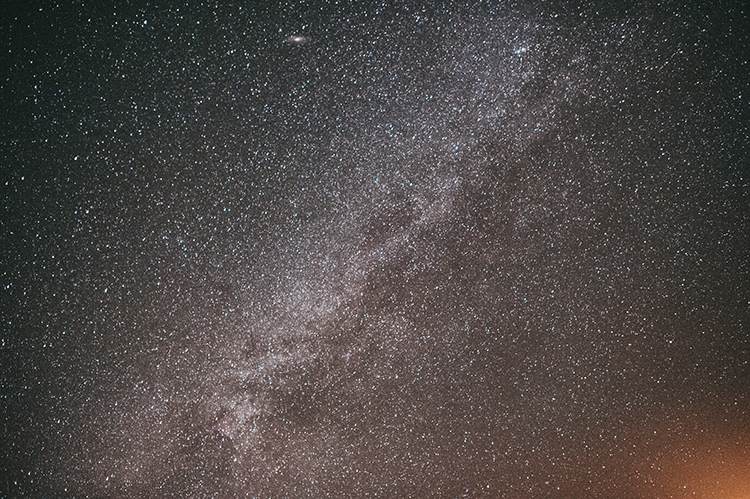 The people we met along the trail and their stories helped propel us forward. We witnessed an incredible sunset as we relaxed on the beach after a hard days work, where we ate what felt like a feast of tuna, crackers, and pineapple while breathing in the misty, salty air. I’m forever indebted to the trail and the experiences it provided. Here’s how you can have that, too. • A lightweight water filtration system. We opted for the sleek design of the Life Straw. • A cooking stove like the MSR WhisperLite or similar, a lighter or waterproof matches to get it going, one pot, and one titanium spoon. Food suggestions: a can of beans, instant oatmeal, crackers, tuna, granola bars, a can of pineapple for dessert, and mini candy pack for extra sugar during the return trip. 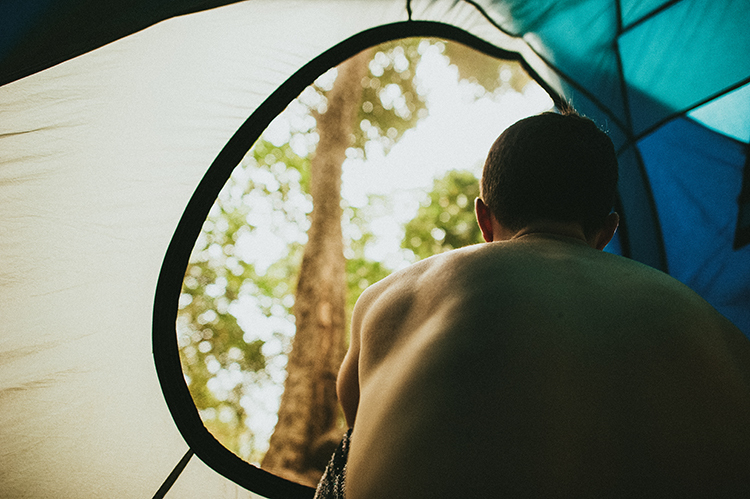 • A lightweight tent or hammock, tarp, and rope. 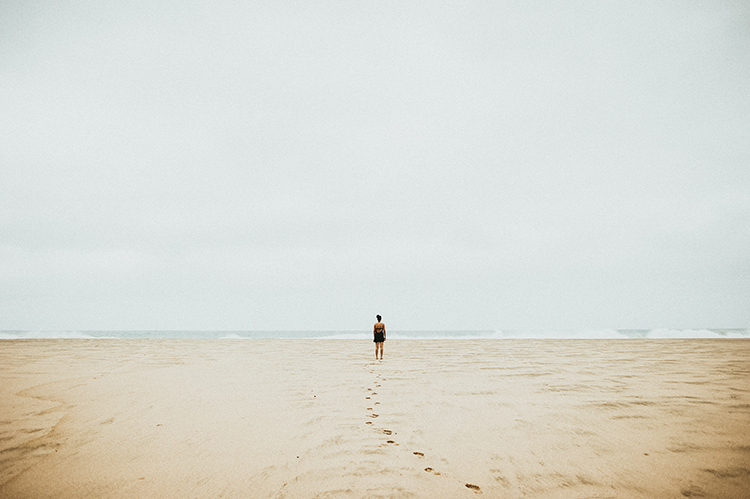 • A good pair of supportive hiking boots (we had running shoes, and my ankles were feeling weak towards the end), walking poles or sticks, and a pair of flip flops for when you hit the beach. A change of clothes is also a good idea. • Organic, biodegradable toilet paper and a PackTowl Ultralite. A map isn’t required since there is only one way in and one way out on the trail. 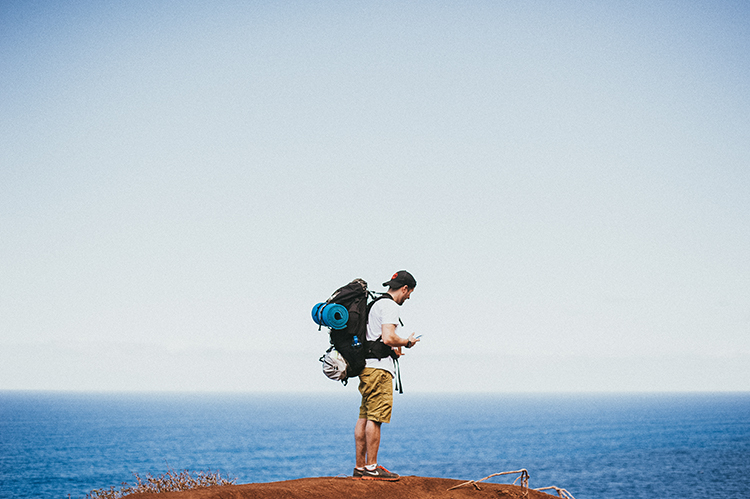 Cell phone reception is non-existent, but there are frequent hikers on the trail in case you need help. Considering the reputation of the trail and the inaccessibility, it’s really important to be prepared. Some tips: pack essentials in case you are stuck on the trail for an extra day. Prepare a small First Aid Kit and take it with you. Keep an eye out for unstable, loose paths. Make sure to stay well-hydrated and re-apply your sunscreen every few hours. One of the wettest spots in the world is just two miles away from Hanakapi’ai, where it rains an average of 450 inches a year on Mount Waialeale. Frequent heavy rainfall during the winter months can turn the trail into a quagmire, especially between miles 6.5 and 8. There are also three large river crossings that rise and fall rapidly, so it’s best to wait for a calm period rather than risk your life. 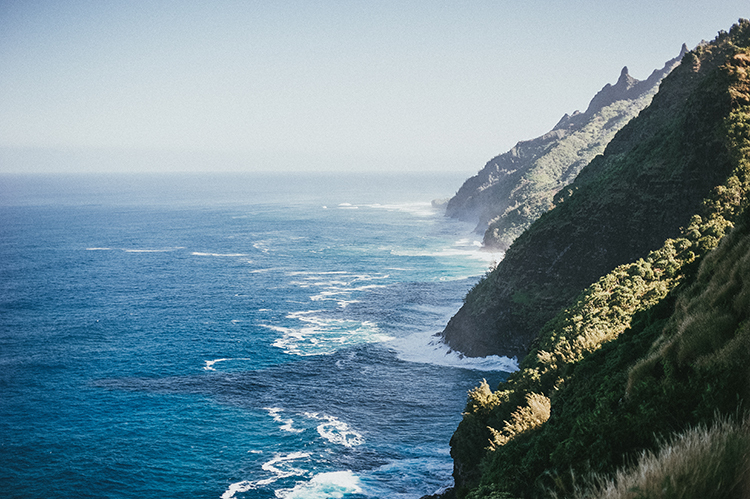 The beauty of the ocean waves can attract hikers to take a dip once they’ve arrived at camp on Hanakapi’ai and Kalalau Beach, but there are strong hidden currents which have taken many lives. Lastly, always leave a note and inform someone of your plans.